With the recent spike in crime on our block, it is time to show that we are concerned and attentive to what has been happening. Please join us this Thursday, December 20 for a “Take Back Our Block” night. We will be attending the PSA 502 Meeting at Turkey Thicket Recreation Center across the block at 7PM to discuss crime-fighting strategies. We will then meet at the corners of 10th and Perry Place, with police and community leadership at 8PM, to march around the block and alleyways. We hope to see you there! 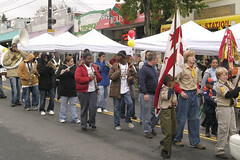 What: A Brookland Holiday Celebration with refreshments. music and cash bar. 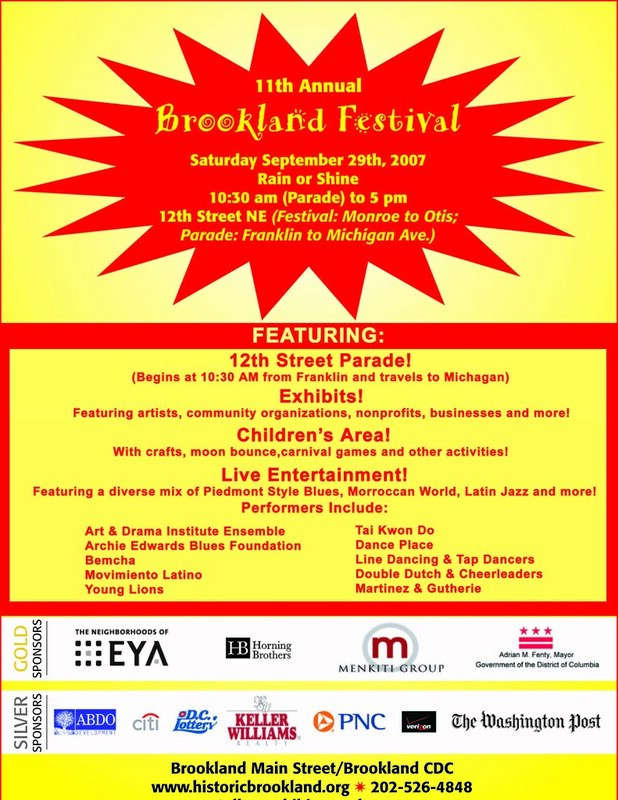 Sponsored by: ANC Commissioner & Brookland Civic Association President Mary Baird Currie, Friends of Turkey Thicket, and Turkeys Unlimited. » "Beacon House Falcons Win Super Bowl" - WaPo, Monday, December 10 - see background here. Almost 40 employees of the D.C. Public Library system -- about 10 percent of the workforce -- will be leaving their jobs in early January as part of what officials describe as a plan to "transform" the beleaguered system and rejuvenate its personnel. The group leaving includes the head librarians of seven of the District's 27 libraries. The head librarians at the Mount Pleasant, Petworth and Woodridge branches were fired, along with five subject specialists at the central Martin Luther King Jr. Memorial Library. The eight were let go "without cause" on Nov. 29 or 30, officials said. They were placed on paid administrative leave through Dec. 31, then accompanied to their desks to retrieve their belongings and escorted out the door. » From a neighbor: daytime break-ins have increased around Evarts, 28th, and 30th since construction has started on the South Dakota bridge. » New Brookland Listservs! Do you want announcements without some of the usual list drama? Sign up for the Brookland Announcements List. Also check out the new Brookland Yoga Listserv. » NoMa BID has updated their website. Edgewood Terrace's Beacon House Falcons have advanced to the Pop Warner Super Bowl and will play the Tustin Black Cobras for the Pee Wee Championship this Saturday at Disney's Wide World of Sports Complex. Check out the brackets - the Falcons haven't given up a point yet! Thanks to donations from News4 and a grant from Fannie Mae, the Falcons will be able to go to Orlando. Fannie Mae awarded a $100,000 grant to the Boys & Girls Clubs of Greater Washington to send the Falcons to compete in the pee wee division. The grant also allows 2006 midget division champs, the Marshall Heights Bison, to defend their title. Last year, the Fannie Mae Foundation donated $30,000 so Marshall Heights could make the trip. We should be extremely proud of our teams...not only for making it to the National Championships, but also considering that Pop Warner is the only youth sports organization with an academic requirement. You can watch video of the Falcons here. When: Wednesday, December 5, 2007 at 6:30 p.m.
· Councilmember Harry Thomas, Jr. I can't yet find documentation of the most recent housecleaning at DCPL, but Woodridge's head librarian, Mary Cooper, was fired along with a number of other branch librarians on Friday, November 30. I believe (though anyone with more accurate info is encouraged to post a comment) that those let go included the Petworth and Mt. Pleasant head librarians. This comes on the heels of DCPL's November 7 announcement that a number of branches will no longer have Sunday service through the holiday season (and beyond?) "due to anticipated staff shortages [at] some libraries," including Woodridge. When: Saturday, December 1, 2007, 9:30 a.m.-4 p.m.
What: Emergency Education Town Hall Meeting to review the proposed reform plan to close 9 Ward 5 schools. 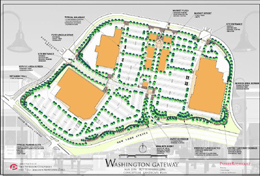 When: Monday, December 3, 2007, 7-9 p.m.
Ward 5 has the most proposed closures, with nine. That section of the city has experienced a recent influx of young families moving into such neighborhoods as Brookland and LeDroit Park, but many of them are choosing charter schools or going out of boundary rather than enrolling at neighborhood schools, which have been plagued by declining enrollment and poor test scores. Ward 3 is the only one with no schools on the list. The document says those schools on the closure list would be taken "off the list for modernization, targeted repair, or blitz work (excluding things that are necessary for basic quality of life)." The document also raises questions about the pace of repair work needed to upgrade schools that would take students from closed facilities. According to the list, Brookland Elementary in Northeast would close next year and the students would be sent to nearby Bunker Hill Elementary. Bunker Hill, however, would close two years later. But the document also says there are plans to "rebuild a new [pre-kindergarten through eighth-grade school] on the Brookland site. This is a high priority to move up. Can we get a design team up in early '08 and complete construction by '10?" When: Wednesday, November 28, 2007 at 7 p.m.
· Invited Guests: Potomac Lighthouse Public Charter School (PLPCS). PLPCS is planning to relocate into a vacant building at 8th and Varnum Streets NE, formerly known as Brady Hall, 2 blocks west of Providence Hospital. PLPCS is currently located in Michigan Park Christian Church at 1600 Taylor Street NE. The project is being developed by Joel D. Scharfer, CEO of Charter Schools Development Corporation and Edward M. Johnson, a Brookland-based architect. PLPCS currently serves 120 students and is hoping to increase its student body to between 250 and 400 pupils. Brookland CDC's 5th Year Celebrating "Wreaths for Brookland"
All proceeds support this year's "Celebration of Lights," which includes a trolley ride through Brookland to enjoy our holiday lights, hot chocolate, holiday treats, roasted chestnuts, and photos with Santa! Prince George's County Police initiated a chase of a carjacked Jeep Cherokee driven by a 14-year-old boy Monday afternoon. Police on patrol spotted the Jeep, which they said was carjacked at gunpoint on Nov. 15, and tried to pull it over in the area of Eastern Avenue near Riggs Road. Police pursued the Jeep after it fled. The chase went for several miles at varying speeds through neighborhoods in the district. The Jeep went down Missouri Avenue, past the Fourth District Station, down 16th Street, down North Capitol Street, and out Rhode Island Avenue before ending up in the 3800 block of Harewood Road, NE, where the driver fled onto the campus of Catholic University, according to officials. The driver was arrested a short time later. D.C. Police from the fourth and fifth districts, along with the D.C. Police Helicopter and Prince George's County Police assisted in the chase. Police said the chase contributed to a four-car accident, but no injuries were reported. What: Premier Community Development Corporation / PCDC presents Dominic Moulden, Executive Director of ONE DC and all Ward 5 residents, neighbors, stakeholders, and community businesses in a discussion on "Creating a Community Vision." When: Saturday, November 17, 2007, 10 a.m.-12 p.m. Discussion Includes: A shared vision for our communities in Ward 5, including an overview of Ward 5's history, demographics, economics, politics, and organizations. What is a vision? Who benefits from a community vision? Who decides what will happen in a community vision? How does a community vision get implemented? What can the community do? When: Tuesday, November 6th, 2007, 7:00-8:30 p.m. Etc. : Meets 7:00-8:30 p.m. the first Tuesday of the month, except July and August, at the Washington Center for Aging Services - call 202.269.0354 for more information. When: Tuesday, November 6th, 2007, 7:30-8:30 p.m.
What: Mayor Fenty will be the special guest at this month's Brookland Civic Association Meeting. When: Tuesday, November 6th, 2007, 6:30-8:30 p.m.
For more information: Contact Brookland Civic Association President Mary Baird Currie at 202.635.1970. 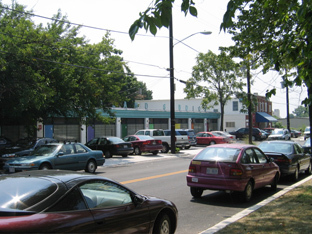 On Friday, November 2, 2007, at 2135 hours, members of the Fifth District responded to the 2900 block of 10th Street NE (10th and Franklin Street NE) for the sounds of gunshots. While the responding officer was canvassing at this location, another call for service was dispatched to the front of 4015 9th Street NE for a shooting. Upon arrival to this location, the members located an unconscious male suffering from multiple gunshot wounds. The DCFD responded and all life saving efforts were attempted and proved futile. The decedent was transported to the OCME. It should be noted that the driver of the vehicle that the decedent was traveling in has been arrested and charge with two weapons charges. The investigation is ongoing, and making excellent progress at this time!! On Saturday, Commander Greene noted that while no charges had been made, a possible suspect was in custody. When: Thursday, November 1st, 2006 at 7:30 p.m.
and negative, with that feedback we can do our best to try and give Brookland residents a place they can enjoy. Keep it coming please! 2- As of this week our beer selection will be increased to more than three times of what we were originally carrying. Unfortunately, due to the size of our cooler and amount of draft lines we have, a majority of the selections will be in bottles. They range from a nice selection of Light beers to select imports and a few micro-brews. Please come check that out sometime later this week. 3- The glass issue is a work in progress. Glass will be used until a certain point in the evenings where it gets extremely busy. We have been working very hard with our Security staff to do our best to prevent any cups leaving our establishment. 4- The surly bartender who has drawn the ire of many Brooklanders (and us) has been let go. 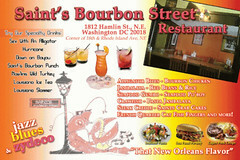 We are currently looking for a new bartender with a more sunny disposition. I myself will be there on Tuesday through Happy Hour if anyone would like to come in and give me some feedback in person. At approximately 3:30 am, Sunday, October 21, 2007, officers of the Fifth District responded to the 900 block of 21st Street, NE, for the report of a shooting. Upon arrival, they found 20-year-old Ashley M. Black, of the 1200 block of North Capitol Street, NW, suffering from a gunshot wound. She was taken to the Washington Hospital Center’s MedStar Unit where she was pronounced dead. 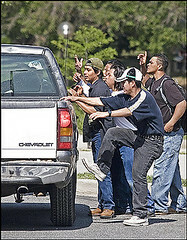 The case is under investigation by members of the Metropolitan Police Department’s Violent Crimes Branch. Anyone with information about this case is asked to call police at (202) 727-9099. The department offers a reward of up to $25,000 to anyone who provides information that leads to the arrest and conviction of the person or persons responsible for any homicide committed in the District of Columbia. A 44-year-old Temple Hills man who was found shot inside a vehicle on Monday in the 3100 block of Rhode Island Ave. NE has died. The Metropolitan Police Department’s preliminary investigation revealed that Clive Valentine of the 2700 block of Bell Brook Street in Temple Hills, Md. may have been shot when another vehicle pulled up alongside and fired shots into his vehicle. Police responded to the report of a shooting on Rhode Island Avenue at approximately 11:36 pm on Monday, October 22, 2007. Valentine was transported to the Washington Hospital Center’s MedStar Unit and admitted in critical condition. He was pronounced dead at 11:15 pm on Tuesday, October 23, 2007. MPD-5D has reported that the driver of a silver Honda or Volkswagon is the suspected shooter. The suspect was last seen turning right (south) on Eastern Avenue. » "1300 Rhode Island Avenue - New Name, New Birthday" - DCmud, Friday, October 19th - The "1300 Rhode Island Avenue" development is now dubbed "Brookland Square"
The Woodridge Branch Library is having two programs of interest to the community this weekend. The First Annual Multicultural Program will be held on Saturday, October 20th from 1:30-3:30 p.m. This is a family program for all ages. On Sunday, October 21st, a celebration of Young Adult reading will be held for teens ages 12-19 from 2:00-3:30 p.m. Holla'Back and Teen Read Week participants can extend the fun of reading, games, chats, and more - including door prizes and refreshments! 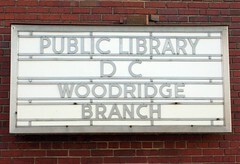 The Woodridge Library is located at 1801 Hamlin Street, NE at the south corner of Rhode Island Avenue and 18th Street. For more information call the library at 202.541.6226. Estella Wheeler (be sure to click on the link for a lovely tribute from NPR's All Things Considered) passed away earlier this year, and now the building that has long been home to Estella's Hats & Boutique is for sale (login required, MLS #DC6564419). 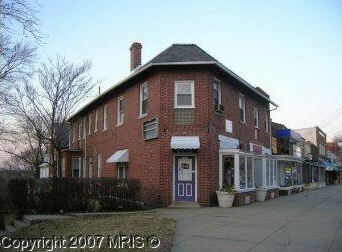 The current list price for the 2 retail storefronts with 4 apartments above is $825,000. 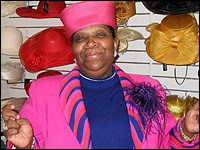 » NPR/All Things Considered - June 14, 2007, "Hats Off to Beloved D.C. Haberdasher"
» NPR/All Things Considered - March 27, 2005, "Easter Hat Roundup: Estella's View from Church"
When: Tuesday, October 16th, 2007, 7-8:30 p.m.
· Office of Ward 5 Councilmember Harry Thomas, Jr.
What: Join the NE DC Historical Society as they continue to explore the history of our Northeast Washington communities - past, present, and in years to come. This month's meeting will take place in the Kenilworth community. Chris Weiss, Director of the DC Environmental Network, will provide us with a "Briefing on the Activities of the Capital Climate Coalition." Etc. : For those unable to attend this meeting, don't miss next month's meeting to be held from 2-4 p.m. on Sunday, November 11th, 2007. The meeting will take place at the Anacostia Community Museum, 1901 Fort Place, SE. Speakers will include Diane Dale, president of the Anacostia Historical Society presenting on "The History of Black Anacostia" and Claire Douglass from the Chesapeake Climate Action Network speaking on "Global Warming and What You Can Do About It." What: Council Chairman Vincent Gray will be the special guest at the next Brookland Civic Association meeting. Chairman Gray will answer questions on public safety, education, infrastructure, and economic development. When: Thursday, October 11th, 2007 at 6:30 p.m.
What: Ward 5 Constituent Meeting - Share your thoughts on crime and safety concerns in Ward 5 with the new Commander of the 5th District, Lamar Greene. When: Tuesday, October 9, 2007, 6-8:30 p.m.; reception will begin at 6:30 p.m.
Because what we say on our neighborhood listservs isn't behind closed doors....FreeRide also points to a CUA Tower article on students being arrested recently for providing false IDs on the way in. Missing siblings 4-year-old Wali McJunkin and 15-year-old Chantryce Johnson have been found safe. The brother and sister were located, apparently safe and healthy, at a location on Rhode Island Avenue NE, this afternoon. DC police officials are reuniting the two children with the parents. Their mother told 9NEWS NOW that she planned to hug them and kiss them, and to get help for her daughter. On WTOP this morning, Police Chief Cathy Lanier said police may have a lead in the case of missing siblings 4-year-old Wali McJunkin and 15-year-old Chantryce Johnson. They have been missing since yesterday when Johnson picked up McJunkin at the Peaches 'N Cream Day Center located in the 300 block of Eastern Avenue, NE. Police sources say Johnson has been listed as a runaway since September 22. She was spotted Wednesday for the first time when she picked up her little brother from daycare. Police tell 9NEWS NOW that they have set up two command posts in the girl’s Southeast neighborhood and in the 300 block of Eastern Ave. NW at the daycare center. The children’s mother, Gwen Johnson, tells 9NEWS NOW that she finds it difficult to eat or sleep with two of her children missing. She says the staff of Peaches 'N Cream Day Center should never have allowed a minor to take her son. The mother of five children says she has tried everything she could to get help for the 15-year-old. She says, her daughter has run away eight times since December. She had her daughter in therapy prior to the disappearance. WTOP is reporting that Brittany and Deasia have been found by PG County police. The Metropolitan Police Department asked for the public's help in locating two missing 9-year-olds on Wednesday night. Deasia Tashay Wooten and Brittany Bennett went missing from Rudolph Elementary School in D.C. around 3:17 p.m. They were last seen at a McDonald's restaurant on South Dakota Avenue and Delafield Street. Wooten is black with black hair in cornrows and brown eyes. Family said she is about 4 feet 7 inches or 4 feet 8 inches tall and was wearing a white shirt and blue jumper. Bennett is black with a medium complexion. She is about 75 pounds with brown eyes and black hair. She is 4 feet 5 inches and was wearing a white jacket with blue pants. Police said anyone who locates the children should immediately call 911. The biggest downside of the Douglass Street project is its location. While Mather Studios is in the heart of downtown, the Douglass [sic] Street project is in Northeast, near New York Avenue. Artspace will develop a mixed-used project that will include 30 to 40 affordable live/work units for artists and a new home for Dance Place, a nonprofit organization that operates a dance company, a school, and a variety of children's programs. 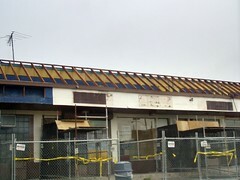 Two existing buildings on the site will be torn down to make way for the project. A hearty welcome to our future neighbors! We're having a meeting this evening at 6 p.m. to see what can be done about the beautiful art-moderne façade imperiled in Brookland at the 10th Street market. 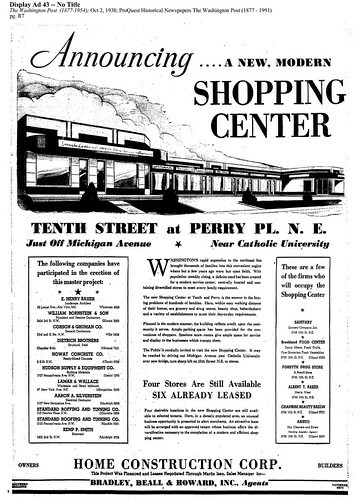 We'll be meeting there to look at the beautiful tiling underneath and then having coffee or whatever at Cardinal's Nest in the complex. If you only know this place from the last 30 years of its being covered up, you really owe it to yourself to see what lies underneath. It is reminiscent of the Stop-and-Shop on Connecticut Avenue, and we're trying to get people to do what they can to stop further demolition. It's a glimpse into Brookland's unique beauty. I know it is short notice but you can do something about this. We all can. Hope you can join us. We *especially* need old hands in historic preservation. » You can view Dan's photos, taken today, here.